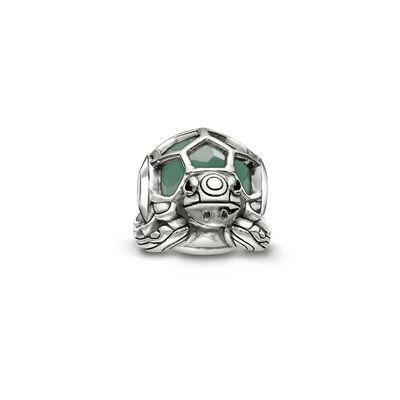 The beautiful Tortoise Karma Bead by Thomas Sabo is the perfect symbol of strength and balance. This adorable design is crafted in blackened Sterling Silver and is detailed with facetted Green Aventurine and Black Cubic Zirconia detail. With its artful finish and unique shape, this fabulous Karma bead will be a stand-out on your Karma bracelet.